This Sonata Chill Octave carpet is a textured pattern of cut and loop design. This carpet is made by Karastan which has a long history of quality. It is made from Colorstand® SD Nylon. The backing is EcoFlex ICT. 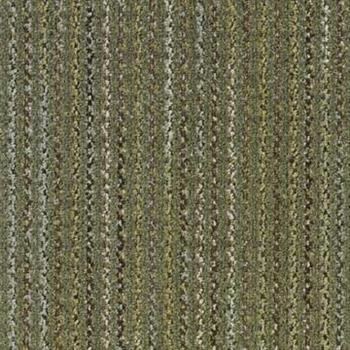 The colors include a background of asparagus green with separate strands of beige, off-white, medium brown, dark brown alternating throughout this carpet tile. Colors can vary slightly from the sample on the screen. It is advisable to ask for samples. Each square is 24" by 24". This is ideal carpeting for an office area, as it will hold up under even heavy traffic. Nylon is a durable material for carpeting and it takes just normal maintenance. 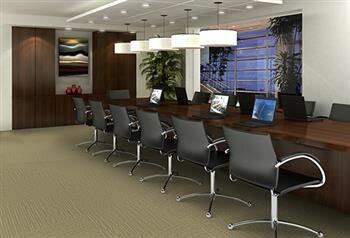 The colors in this particular product are neutral enough to go with any other office decor you may have. This shade of green is also soothing unlike the brighter lime green, which can become an eyesore in some places. 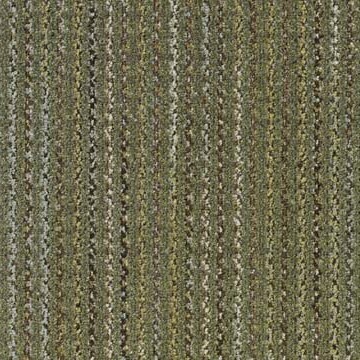 This is also a versatile carpet tile lending itself to many design patterns. The experts advise that Monolithic, Ashlar, and Quarter-Turn are the three preferred styles of installation for this design. Check out each installation method to see which one suits your needs the best. This is the carpet tile is ideal when you need a durable neutral tone carpet for you office or other area of your building. It will stand up to commercial use and the pile is low and easy to maintain. Check into it today to see if it will meet your needs.